Today it is difficult to imagine a man who can become another Mahatma for India. His immaculate character and inner strength in unimaginable to be replicated in today’s life. Lost admist material gains and losses , urgency in achieveing success we know we cannot follow his Golden rule of Truth and Non violence. But I have a firm believe of seeing a new dawn in India. Last one and a half year seeing people of similar minds on roads to bring about a collective change in India has filled me with hope of bringing back Mahatma’s India. So this article of mine is a small but practical effort towards an honest India. I agree this is not the only way but just like a mother uses both love and punishment together to discipline her child none being completely wrong , this might just be a not so wrong way to bring change. 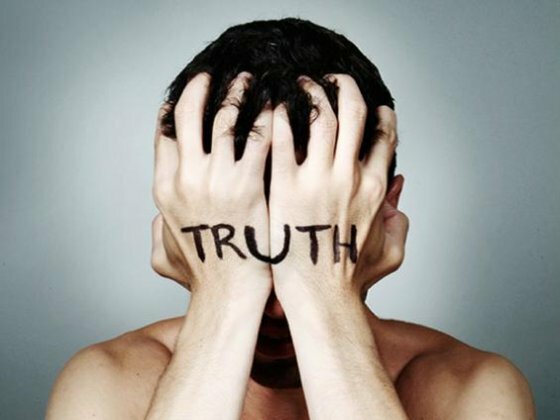 To bring Truth to the forefront we have to understand why people lie? In our everyday life we know “n” number of people lie to us. Sometimes we can catch them and sometimes we cannot even guess their lies. Why do we lie?The obvious answers are : I want an easy way out, afraid of punishment, scared of hurting people, scared of being judged wrongly . Liar can have good or bad motives but every liar will have a reason or justification for lieing. Truth has 2 parts one the speaker and one listener (there can be multiple people involved but we’d keep it simple here). Two individuals involved in the scene can have different capacity to accept or reject truth. Which means they both will react differently to the same situation. Now here few situations can arise depending on them. A. If the speaker has less inner strength to speak but the listener is stronger internally to hear truth half of the job is done. People around us are afraid to speak simple truth’s where they are expressing their opinion because they are afraid of being punished or being judgemental. Here only the listener will have the choice to make the relationship better and stronger. B. If the listener has less inner strength to accept truth and has a tendency to react at the slightest thing. Then only the truthest of all Speaker will be able to speak truth without making things difficult for himself. C. If both the speaker and listener are weak neither can handle any change nor situation then they will always have a relationship of distrust and dis respect with each other. D. If both the speaker and listener are strong inside then their relationship will always be strong and of mutual respect. As neither creates a fiasco nor is afraid to change the mistake. Now we live at a time where option C always happens, D is a distant dream or may be rare. While option A and B is still feasible. We need to know where we fall in, I know as speaker we can rarely take the risk of speaking truth because till now we haven’t been able to gather the strength of facing every tricky situation. But B I feel as a listener I can show more patience and appreciation towards the person who is willing to speak the truth to me. a) We need to define truth in a new way. Once we understand that every one has a reason to do what they do no matter how selfish that justification is but still from their point of view , at that time, at that situation, in their capacity that reason is sufficient for them to make what you think is “mistake” or “unjust”. We have to accept that for that person Truth is what he speaks or believes. b) After that you can show consideration by not reacting wildly but by responding. Sitting and having a plain dialogue will help the speaker to expand and explain the reason while slowly develop faith between you two. c) Address the issue, not the character of the person. While I know you have pent anger and believe that the speaker will never change but by believeing so very strongly you decrease the little want if there is any inside the speaker to change by hurting and speaking of his character. This happens often between husband and wife as they bring in old unresolved issues and then they hammer the past more than resolving present. So focus on issue. You can always give opinion of change once the other person gains faith of you being patient with him. d) Have faith. I say this especially keeping family relationships in mind. Most often we want our family members to do something in some way but doubt their capacity. Then slowly what you think shows in your action and eventually the motivation the speaker could have received from you depreciates thus they lie to you again. Note this kind of action with children is extremely detrimental . So have faith and REAL INNER FAITH. It will take time to achieve results but if you are patient enough you will soon see drastic changes even in a habitual liar. In context of present society and country..... friends lie to friends scared of hurting them? Children lie to parents scared of being judged wrong ? employess lie to boss fear of being punished. With so much fear we can only bring laws to end corruption but we won’t be able end corrupt minds. We won’t be able to weave a social fabric or life and relationships built on faith and honesty. Honesty is not just a parameter for a corruption free country but it uplifts us from weak mindsets and we cannot do it unless we consider thecause of fear in the liar as justified. I know the thing that pops onto mind is , how will the work get done without the fear of punishment. Tell me one thing if as a parent I punish and judge my child being wrong all the time how difficult it is for the child to lie to parents and do what he wants to. Is this how we want a honest country and dishonest families? What are we clinging on to? Social fabric of country is wroven when we accept people and their opinions even if we don’t find them as correct. Without this flexibilty superficially we will have an honest country but broken relationships. A simple thing we all can do is accept truth when people speak it to us. Yes it might not be truth in our opinion it could be just jealously or useless criticism or even careless attitude for us but the one who is saying it is completely convinced about it. I know its difficult to speak truth (blame 100 reasons for that) but we can face truth. Lets bring facing truth in our homes, welcome it to our daily relationships. Let us be more stable and welcoming to truth spoken to us. Tell our family , friends and colleagues that they can tell you anything without fear of being judged, held wrong or being punished. Once they see you stable more welcoming to accept truth as it is and not forcing them to change always (No one likes to change ), they would eventually become stronger listeners too and then you’d be able to share their truth’s to them. Yes it takes time to weave such a relationship but is it not better to have one such honest Relation than a 100 dis honest relationships ? Lets make it possible its only easy to be patient and understanding listeners of truth and we all can do it everyday with our very own same people. Nurture better relations by responding to truth than reacting to truth. P.S – Lots more to say but I know my blog has a very intelligent audience :) they can expand what I write and can give me a 100 better ways to do it. So as always looking forward to what you guys have to say about this. Correct me if there is any mistake on my side. Very good points; one form of (C) that can also be seen quite often, is that relationship where both speaker and listener are weak, and reinforce and embrace each other's dishonesty and delusion... it is tragic when this occurs on a larger scale in the form of cults like Heaven's Gate or Aum Shinrikyo. A man driving far out in the country suddenly has a shredded tire. Pulling over, he remembers he has a spare- but his jack is at home, miles away! He then remembers passing a service station, only a few miles behind him; "I'm sure they would be kind enough to lend me a jack, that I might change my tire", he thinks to himself, and so begins walking back toward the service station. Yet, about 1/3 of the way there, he has become anxious; "What if they charge me for the use of it? I am not rich, but I would have no choice... how unpleasant that would be", he thinks. "They could charge me $20, and I would have to pay it!" 2/3 of the way there, he has become quite resentful; "Those crooks will probably charge me $50 just to use their jack.. the nerve, taking advantage of me like that!" Finally, at the service station, the elderly and quite gentle attendant looks up, startled, as the man storms in, slamming the door- "M-m-may I help you?" asks the attendant. "YEAH", shouts the man, "YOU CAN TAKE YOUR $500 JACK AND GO #$%#% YOURSELF!!" before storming right back out again! So wonderfully explained in this example :) had the driver had a little more faith in the present he wouldn't have gone into projecting such a negative future. Most of us live like that resenting or fearing past or future. We hardly live in present this very moment and may be that is why an honest communication never happens. I mean if there lies so much of fear who would be able to talk forget solving it. Thank you so much for your comment @JaiMaaDurga. As usual, beautiful and thought provoking article shreya. i consider myself a bundle of contradiction which goes back to my childhood days when we have been drilled day in and day out to say only the truth and nothing but the truth. on the other hand,we have also been taught "if you don't have anything nice to say, don't say anything!". after reading your article, i wonder whether our parents thought the listeners to be always weak and may not be willing to accept the truth! i think when both the speaker and the listener become vulnerable to the point of opening up to speak and to listen, without the fear of being judged or judgmental, that is the highest form of truth. Thanks Shreya. i really love your thought pattern. Your blog is beautiful. Your thoughts are rare & I like it. Just visited your blog and read your post on roomies .. it was so adorable :) me following you but i couldn't comment on your post there is some issue with my internet explorer and blogspot. I can comment If you could adjust your comment setting so that the comment window opens up in a new window. I am so sorry i couldn't comment right now bz of this error. Anyways i won't run away anywhere so i can write down to you again. "to say only the truth and nothing but the truth"
To say truth would mean say what you have on mind. That is your speech and mind should be in harmony only then your mind shall be at peace. Scientifically also proven that body reacts like fastened heart beats if the person says something he is not convinced about. So truth is what you are convinced about. Parents said it to us so that we always have peaceful life. "if you don't have anything nice to say, don't say anything!" I think they say this bz they understood our dependency on others and they knew that a lot of our happiness and peace depended on others reaction towards us so if there was no escape then silence is better than hard truth. Yes listeners are definitely weak that is why if we becoe a single listener who is capable of listening to truth and is able to handle it better than others over the time speakers would turn to listeners bz they would begin to absorb our strength in themselves. See if head of a family has certain character then it slowly comes into others similarly if I am able to listen to truth better others to sooner or later would be able to listen to truth better. I think this would take time but it is better to be late than never. Why presume everyone is weak , if they can't listen to truth why don't i try be a better listener. Removing fear works good in almost all relationships. :) Thanks Nirmala for having patience with me. sometimes i really wonder whether i should be diplomatic and refrain from telling the truth for the fear of hurting someone, or i should be straightforward, say the truth and then feel guilty 'coz i have hurt someone! Truth is not absolute na shreya. i believe something, the other person believes something else and there are conflicts! So true Nirmala , truth is not absolute. It depends on perception of each one of us. Like for two people beauty can have different definition for one it might be external beauty for other it might be inner beauty so when they say you are beautiful it would have different meaning all together for the other one. That's why in this whole article i kept insisting that even if we don't have the strength to speak truth because we fear of hurting others we can still listen to truth and encourage others to speak truth to us by being stable in our reactions towards that truth eventually people will be more stable to listen to truth as well then we'd be able to speak truth without fear of hurting them. @Anonymous... hi anonymous :) i just keep reading lotsa stuff and keep drawing my inspiration from them , sometimes my dream world offers me more solutions than outside world this one topic was a part of my dream world solution :) i know some of my solutions arent very rational to many people because they don't solve problem immediately but i stress that it is important to achieve peace in long term than immediate profit. I feel so good that in my little way i could be a part of your mission it is all my honour. too long before writing again, your thoughts are well worth sharing! Just in case you were not aware of this, the last two comments may have not been actual readers- often when a comment is very generalized praise and refers to nothing that is actually discussed, it is form of spam... if you look at blogs or forums that have not been updated for years, but have many recent comments, they are often of this nature "Great info, good writing, very helpful" etc. that is indeed so sweet of you @JaiMaaDurga i really did not pay heed to such comments. I thought the only one's which have links are spam oops need to careful next time onwards. Thank you again. And yap i am writing my next post doing kind of a bit research kind of trying to see the efects on my thoughts on people around me observing them and myself bit by bit. The next topic that i have planned is a bit heavy weight stuff and i dont want to scare my readers away my making it complex so i need to simplify it (like my blog ;) simplyshreya) and thus make it lucid. Just stay around would soon pitch it forward.